Gossamer Gear, founded in 1998, is a company that creates lightweight and versatile equipment with a goal of improving the backpacking experience. 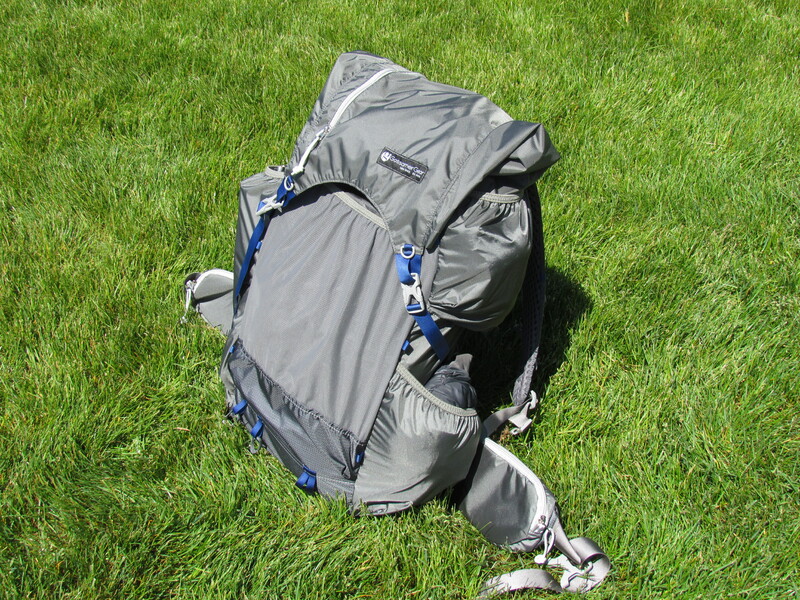 As friends of Appalachian Trials, they were kind enough to help me out in my search to find the latest and greatest in lightweight packs by letting me test out the Mariposa. 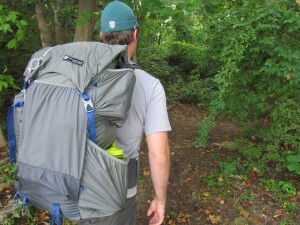 Click here to see my review of the Type 2 Utility Pack from Gossamer Gear. Cutting pack weight has become quite the hobby of mine. 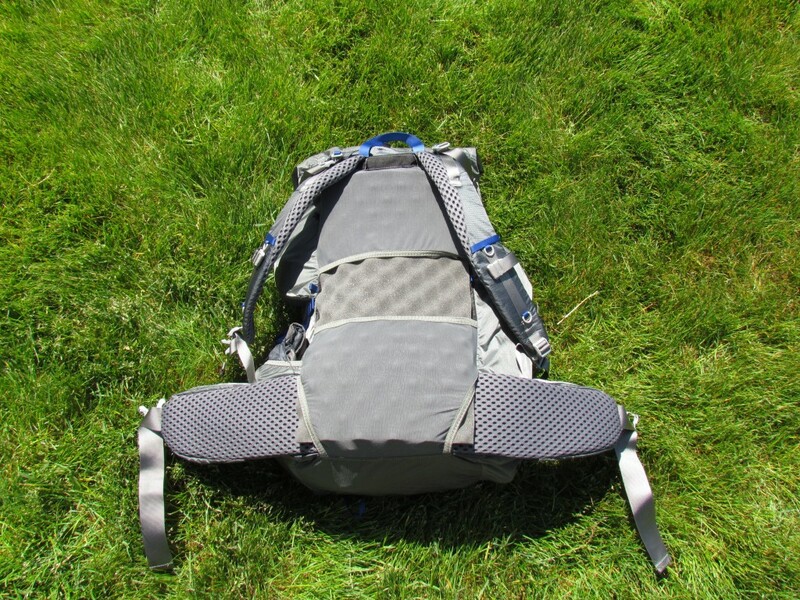 After the dust settled from my thru-hike, I began a search for a new lightweight do-everything pack. The Gossamer Gear Mariposa was one of the first packs suggested to me by none other than the infamous Zach Davis himself. 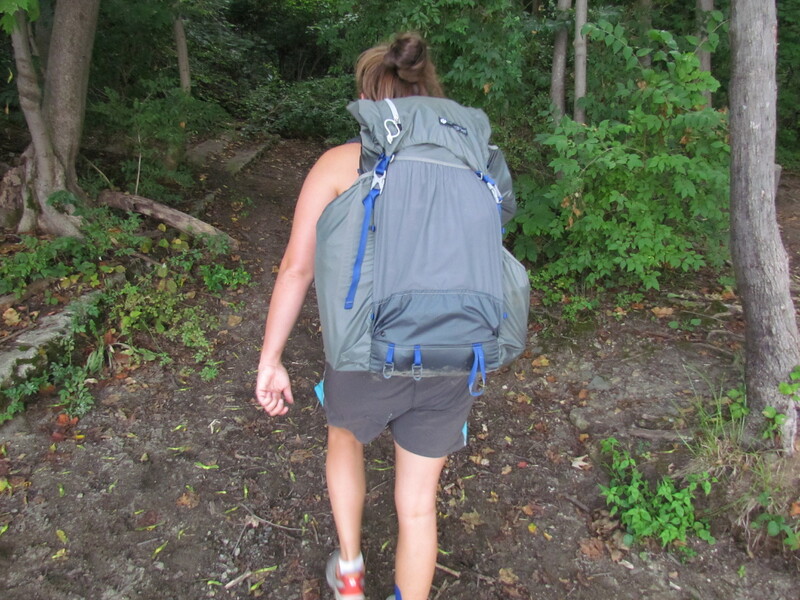 With lightweight construction and easy customization, the Mariposa sounded like the right pack for me. Let’s get the important stuff out of the way. All of the weight specs listed below are for a size medium pack with medium hipbelt. Click here to see the specs for all sizes. Removable hipbelt = 6.2 oz. Total Weight for size Medium = 29.1 oz. That is a total weight of less than 2 pounds with the option to remove features until it is only 1 pound 1.5 ounces! The removable hipbelt is held in place by heavy duty velcro. 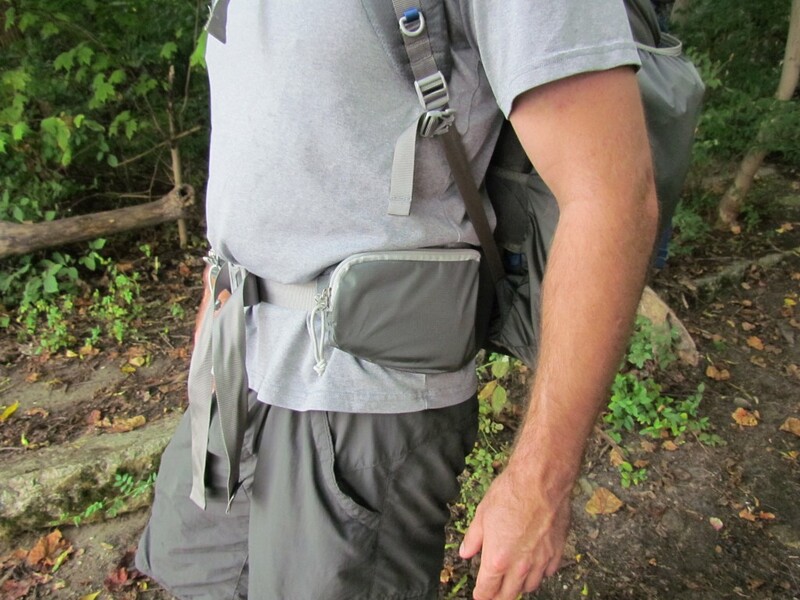 With the exception of size x-small, the hipbelt system includes 2 (huge) built-in pockets. These pockets could fit even the largest of smartphones and any other small accessories that you would want quick access to (think, full-size Snickers bar). The hipbelt is ordered separately, meaning that you can customize the sizing of the pack and belt individually. The Mariposa includes an updated removable internal stay system. The removable stay provides shape to the pack and is essential for backpacking with weight over 20 pounds as it helps distribute the load. One of the huge benefits of a removable stay is that when removed, the pack seems much smaller. 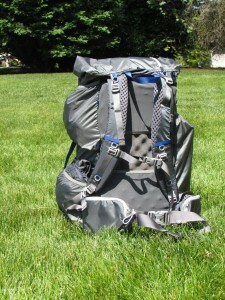 This is great for ultralight backpacking or travel and is one of the things that makes this pack so versatile. The sit pad doubles as cushion against your back. If you choose to keep the stay in place, this will seriously increase your comfort. It’s easy to put in place and remove, even when the pack is full. Time to find out how much food you can carry. These specs are still for size medium. The closure for the Mariposa foregoes the traditional pull-tight closure for an OTT™ (Over-the-Top) closure system. This roll-top style lid allows you to customize the capacity of the pack from 36-60 liters. The downside that I found to this was that rolling too far can interfere with the top zippered pocket. 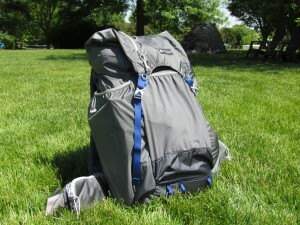 The Mariposa has a weight limit of 35 pounds with a recommended carry of 30 pounds. Weight limits are typical for lightweight and ultralight packs. 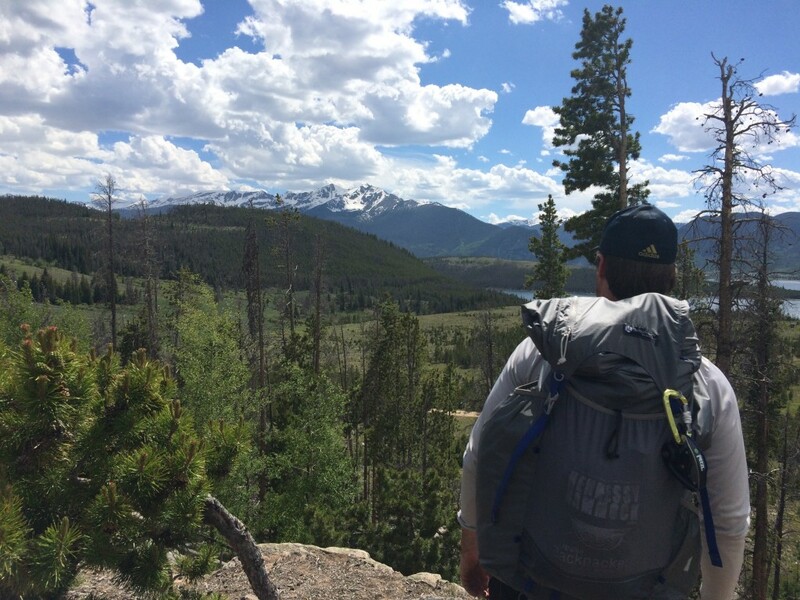 Following weight limit guidelines will help improve the lifetime of your pack, and probably your joints as well. While the term lightweight can sometimes mean thin and flimsy, the Gossamer Gear Mariposa defies these terms. 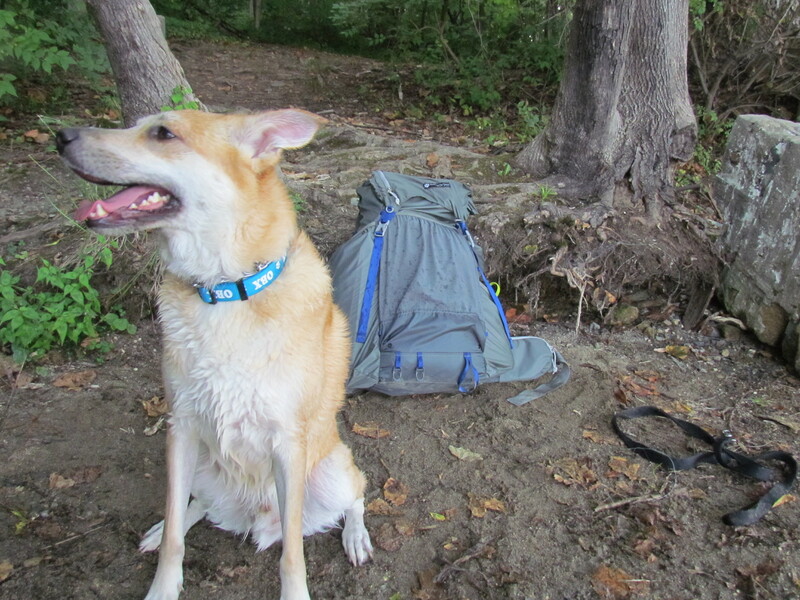 With thick and durable main pack construction, I have no reservations about hauling this pack along with me on my most rugged adventures. Sometimes lightweight means an oversized stuff sack with shoulder straps glued on. Not the case here. The Mariposa includes 7 easily accessible outer pockets for an incredible opportunity to keep your gear more organized than ever. Larger pockets also include a small drainage point. Both harness and hipbelt include custom air mesh fabric. The ergonomic shoulder straps include multiple attachment points, and the adjustable (and removeable) sternum strap has an integrated whistle. As a female, I found that the sternum strap did not go quite as high as I would have liked. There is a hydration sleeve in the main compartment and drinking tube attachments on both shoulder straps. Fully loaded, the pack will get you and all of your stuff from peak to valley in comfort. 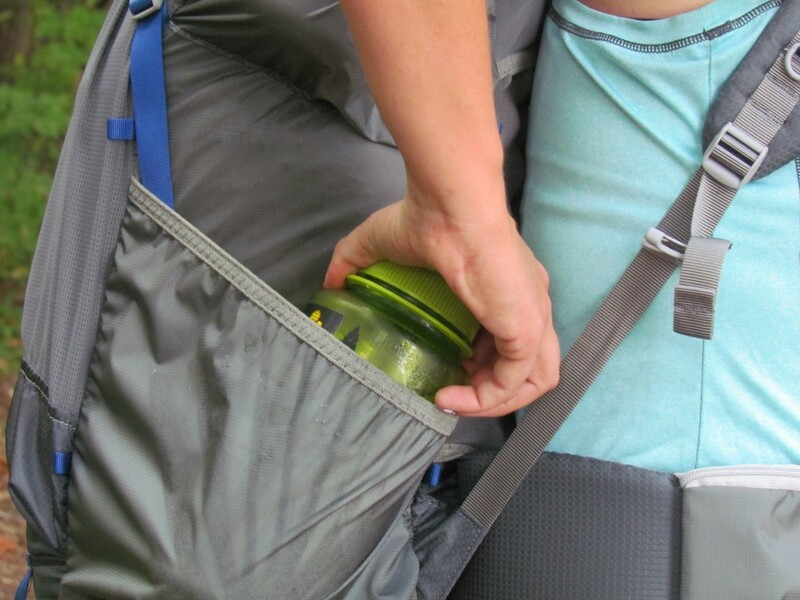 Remove the hipbelt and internal stay, roll down the lid, and your pack is carry-on size. 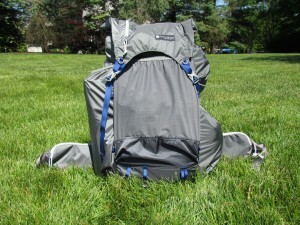 I am incredibly impressed with the features-to-weight ratio of the pack as well as the durability. The Gossamer Gear Mariposa is a versatile and fully-featured pack that is an excellent choice for short and long distance hikes, and any other adventures you can think of. 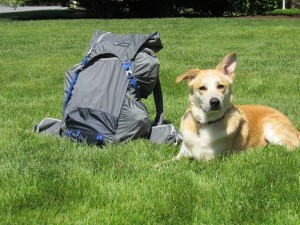 Have you used the Gossamer Gear Mariposa? Let us know what you thought!